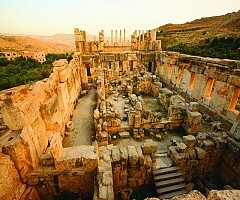 • Qasr Amra, preserved monuments, is a UNESCO World Heritage Site is the best-known of the desert castles located in present-day eastern Jordan. 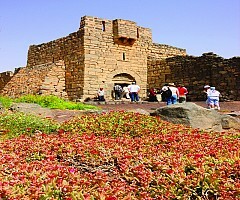 It was built early in the 8th century, sometime between 723 and 743, by the Umayyad caliph Walid Ibn Yazid. 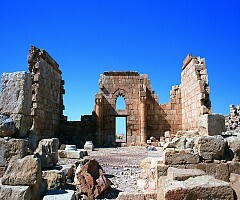 • Qasr Kharana, is one of the best-known of the desert castles located in present-day eastern Jordan, about 60 kilometres (37 mi) east of Amman and relatively close to the border with Saudi Arabia. 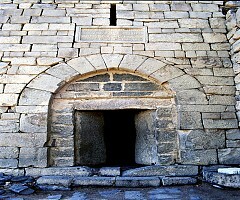 It is believed to have been built sometime before the early 8th century AD, based on a graffito in one of its upper rooms. 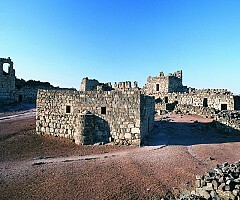 • Qasr Azraq is a large fortress located in present-day eastern Jordan. 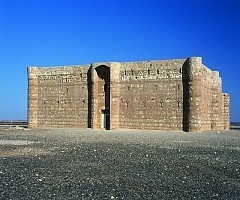 It is one of the desert castles, located on the outskirts of present-day Azraq, roughly 100 km east of Amman. 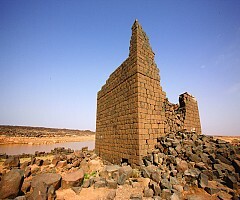 Its strategic value came from the nearby oasis, the only water source in a vast desert region. 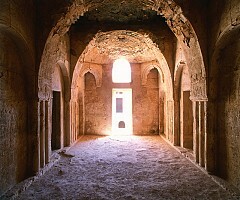 • Qasr Al-Mushatta is the ruin of an Umayyad winter palace, probably commissioned by Caliph Al-Walid II during his brief reign (743-744). 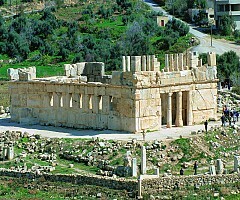 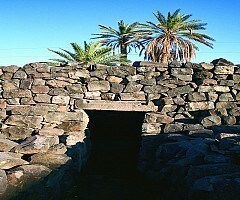 The ruins are located approximately 30 km south of Amman. 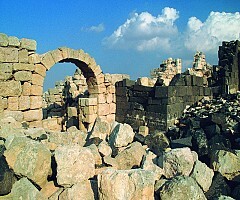 • Qasr Al-Hallabat located in Jordan's eastern desert 35 Km from Amman. 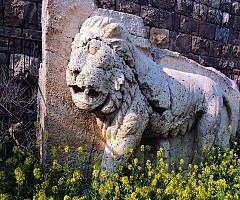 Originally a Roman fortress constructed under Emperor Caracalla. 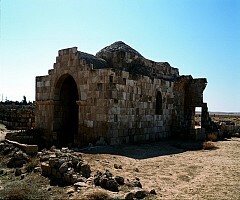 By the eighth century, the Umayyad caliph Hisham ibn Abd al-Malik ordered to redevelop this military site and its neighboring territory to become one of the grandest of all Umayyad desert complexes.